Budgeting can be a daunting prospect for many of us. The word often brings to mind images of poring over graphs, charts and endless receipts. It’s enough to put most people off before even giving it a try, instead convincing themselves that they’ll be fine if they work hard and don’t buy too much. This approach may work for some people, but for most people the upsides of having a budget greatly outweigh the downsides. But how do you make a budget in a way that doesn’t rely on charts and graphs? It’s actually not that hard to create and manage a budget that is nimble, flexible, and works for your individual needs. The following are the 4 fundamentals of successfully creating and adhering to a budget you can live with. In the app age, there’s no reason to face making a budget without the speed, accuracy and convenience of technology. Budgets are inherently about using and organizing information, and that’s something a computer will always do more efficiently than you can. Budgeting apps come in all shapes and sizes, but here’s the key feature you should look for when choosing one. The bulk of the effort that goes into creating a budget is determining where your money goes, and redirecting it to other areas as needed. There are many apps that help you do just that by logging where you spend money, and then automatically sorting those purchases into different categories. This gives you an accurate assessment of where your cash is going and where it should be going. As a species, we humans are not great at predicting certain things. We consistently underestimate how long things will take, how much effort they’ll require, and how much they will cost. Buying a new car? Great, but know that there are all kind of fees attached to purchasing a vehicle that aren’t listed on the price tag: registration, title, insurance, taxes, and a myriad of other associated costs. For this reason, it’s important when drawing up a budget to overestimate how much you’ll spend in certain categories. Even budgeting for simple things like utilities can be more complicated than just paying your bills. At some point your fridge or dryer is going to break, and you’ll need to repair them. If you factor in that inevitability into your monthly budget, it won’t be a surprise expense that destabilizes your budget or puts you in debt. The envelope system is an old standby of many budgeters. The premise is simple: pull out the money you’ve budgeted for spending at the beginning of the month as cash, and put it into envelopes earmarked for your different spending categories. Once the cash is dispersed, for the rest of the month you can only spend what is in the envelopes on the category it corresponds to. While this may seem like a rigid system, the envelope system is a great option for people who do better when dealing with concrete numbers instead of flexible budgets. If you’re one of those people, the envelope system is a way of simplifying your budget, spending and life in general. More important than anything else, when it comes to budgeting it is essential to establish the habit of thinking about your purchases before you make them, and understanding how they fit into your overall spending pattern. No budget can ever be 100% foolproof and able to anticipate every single expense that will come your way. With the right mindset, it doesn’t need to. The self-control, disciple and financial intuition that you develop after being on a budget for a while will help you tackle these contingencies as they happen. Budgeting doesn’t have to be complicated. The most important thing is to keep a level head when drawing up a budget, and have honest and realistic expectations. If you find yourself hit with an unexpected emergency and your budget can’t handle it, then auto title loans could be a viable option to avoid the added expense or late charges or overdraft fees. Like any other expense, the cost and amount of a loan payment should be added to your budget. 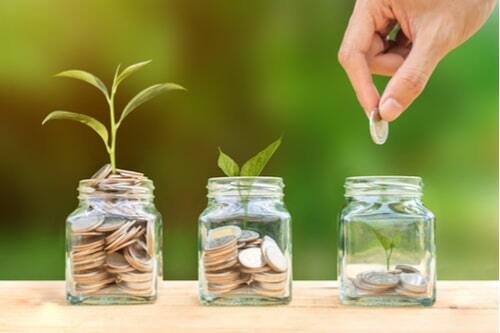 By following these 4 fundamental money management tips you should be well prepared to take on the challenge of making your money work for you.